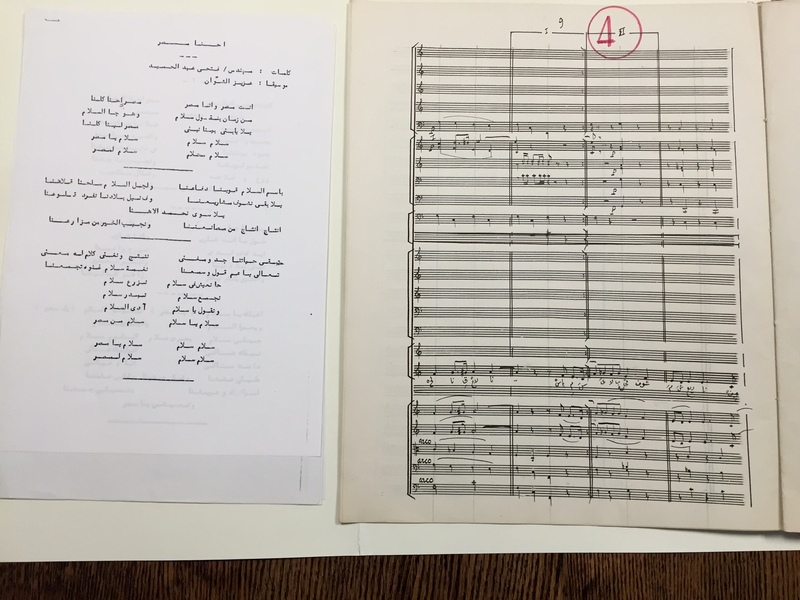 We are proud to announce that the Aziz El-Shawan Manuscript Score Collection is now fully cataloged and available for use in the Isham Memorial Library. Born in Cairo in 1916, El-Shawan was educated in France and in Russia. He spent most of his life in Egypt, where he composed music in a wide variety of genres for Western instruments and for traditional Egyptian instruments such as the nai and qanun. Aziz El-Shawan died in 1993. There appears to be no English-language scholarship on El-Shawan apart from a short article in Grove music online which mentions the “rhythmically rich melodies and folk elements” of his music. The finding aid to this collection is thus the only known published catalogue of El-Shawan’s compositions. 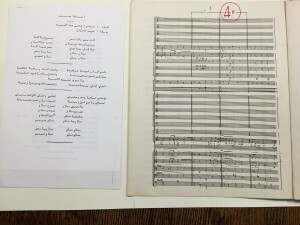 The collection represents the composer’s entire manuscript legacy and consists primarily of music scores, as well as such language material as El-Shawan’s Arabic-language book about opera, Al-Opera. There are works for solo instruments and large instrumental ensembles, and ballet, opera and songs. To highlight just one item in this remarkable collection, the composition and performance of the cantata Eḥna Maṣr, Enta Maṣr is represented here by manuscript libretto, manuscript orchestral and chorus parts, manuscript full score, and correspondence: it is accompanied by a letter from Fathi ‘Abd Al-Hamid, who wrote the text, to El-Shawan, and in the letter, dated May 1, 1982, the poet discusses the recording of the cantata for broadcast by an unnamed Cairo radio station. The Bb minor piano concerto, featuring the Orchestre de la Cinematographie de Moscou under the direction of Aram Khachaturian, with whom El-Shawan studied in Moscow in 1967. This recording was made in Cairo in the 1971-72 concert season, at the very end of a long period of close political and cultural reciprocity between Egypt and the Soviet Union. A collection of symphonic music inspired by Omani traditional melodies and genres, apparently commissioned by the Sultanate of Oman Ministry of Information in 1985. A two-cassette compilation of El-Shawan’s choral and orchestral music, recorded in Egypt in the early 1990s. The finding aid for the Aziz El-Shawan Manuscript Score Collection was prepared by Harvard Divinity School graduate student Farah Zahra with support from Assistant Keeper of Isham Memorial Library Joshua Kantor and using some metadata created by former Music Library staff members Robert Cunningham, Douglas Freundlich and Virginia Danielson. The Isham Memorial Library is the special collections library adjunct to the Loeb Music Library. It is open Monday to Friday, nine to five.